The Big Brother Naija 2018 housemates have agreed on a 75 percent wager this week. After winning their 100% wager of week 7, the nine housemates who have remained inside the house have today agreed to place a 75 percent wager in week 8. Led by this week’s Head of House Miracle, the housemates didn’t find any difficulty in making a decision as they were all convinced that by placing a 75 percent wager they’ll still have 25 percent left just in case they lose the wager. 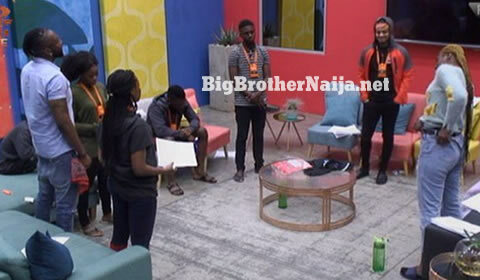 And after agreeing, Head of House Miracle then moved to the diary room where he informed Big Brother of the housemates’ decision to go with a 75% wager this week. Big Brother was obviously pleased with their decision and then asked Miracle to leave the diary room. 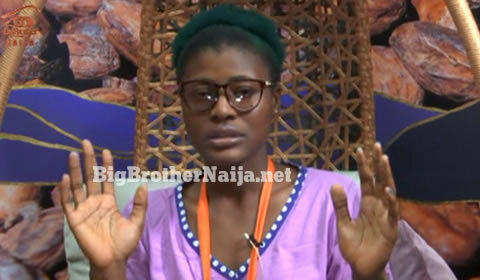 So do you think the housemates will be able to win their 75% wager this week?? Please let us know of what you think by making use of our comments section below. Previous story Day 50: Which Evicted Housemate(s) Do You Want Back In The House? Who’s Your Favourite Housemate(s) Among The Top 6?